My good friend Chuck Reed asked me to assist him and his brother Mike, at the Antonia Elementary School in Jefferson County, a week after I returned from the Phantom Mine in Arkansas…so Onyx and I drove over there one afternoon…we were going to be attending a mineral club meeting consisting of several kids and teachers of one grade level at the school. 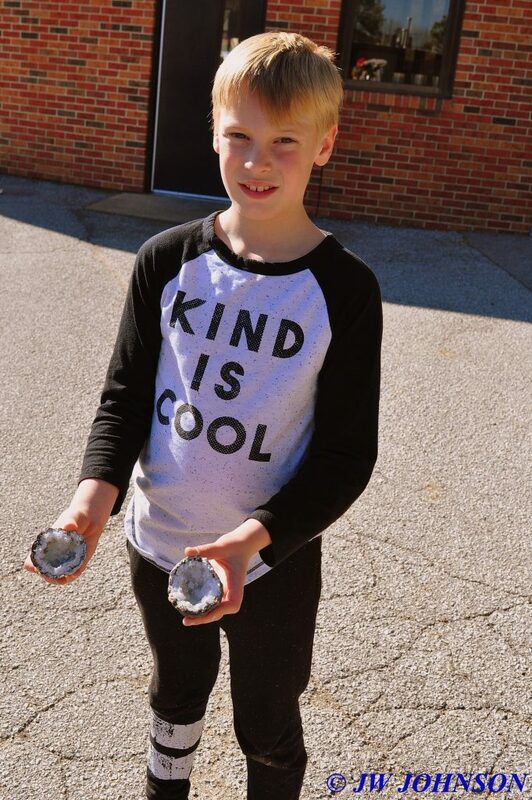 The teacher had contacted Chuck for assistance in opening geodes for them, that she had collected from a weekend trip to Keokuk, Iowa, and Hamilton, Illinois, during Geode Fest 2017. 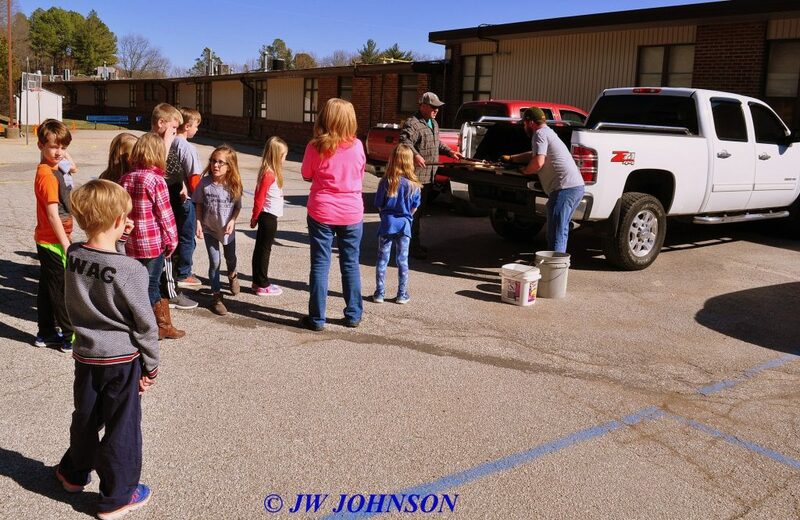 Mike had assembled Chuck`s Geode Cracker in a way that he could use it in a portable fashion, and today we used it on the tailgate of his truck in the school parking lot, so that the kids, after each one picked out a geode from the bucket, could observe how the geodes were cracked open. 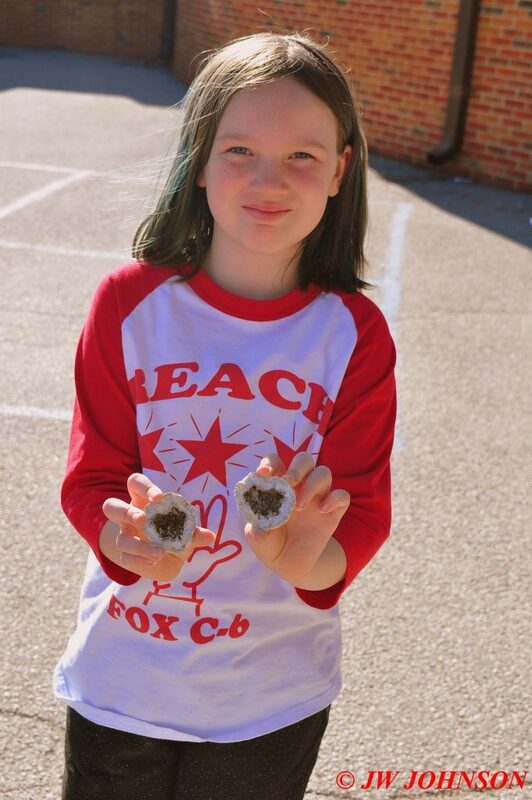 I photographed many of the kids with their geodes before and after, and shot some video as well. Some of the kids had duds and were allowed to reach into the bucket and pick out another one, and let me tell ya, there were some gorgeous geodes in those buckets, those kids were ELATED with their selections !! 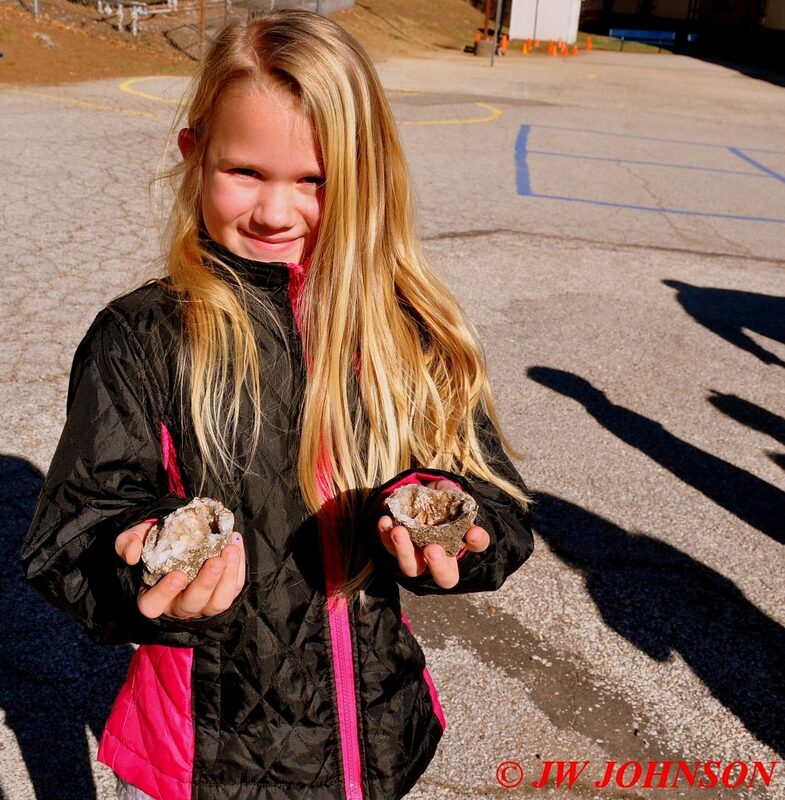 During my nearly 16 years in fire and police dispatch, I had the pleasure of working with the father of a few of the kids there, and I sent him photos of his kids with their geodes. It was a fun time for sure…. …and the next photos are Elvie and Joe Forst…Officer Eric`s kids who I got to meet and talk to for a few minutes…. 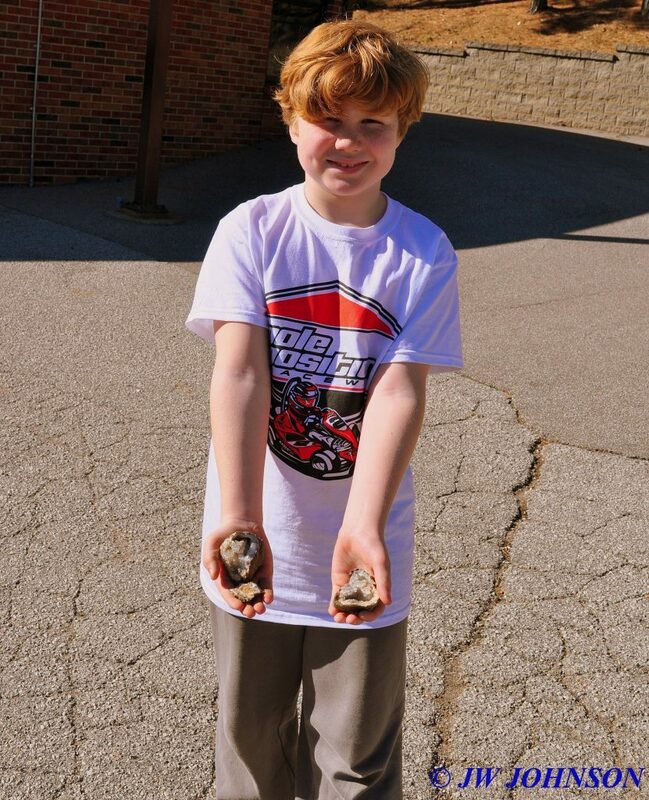 and a couple of other kids with some spectacular geodes cracked open as well…. This entry was posted in Geodes by jwj. Bookmark the permalink.